In case you couldn’t tell, it’s getting hot out there, guys. And that means it is just about time for a complete wardrobe over haul. It’s time for shorts, linen, sandals, and sunglasses. Bring on summer! Summer is kind of the season of couldn’t-care-less dressing — it’s hot, make up melts off, the humidity sends your hair into a frizzy overdrive — but, we’re here to tell you it doesn’t need to be like that. With the launch of SS16 at Westfield and their mega-exciting Fashion Weekend on the horizon, we’ve teamed up with them to create the ultimate guide to luxe summer basics this Spring/Summer, so you don’t look like a hot mess every day. Notebooks at the ready? Let’s do this. Beach days are the best part of summer, let’s be real. You'll of course, need the essentials: a towel and beach read. 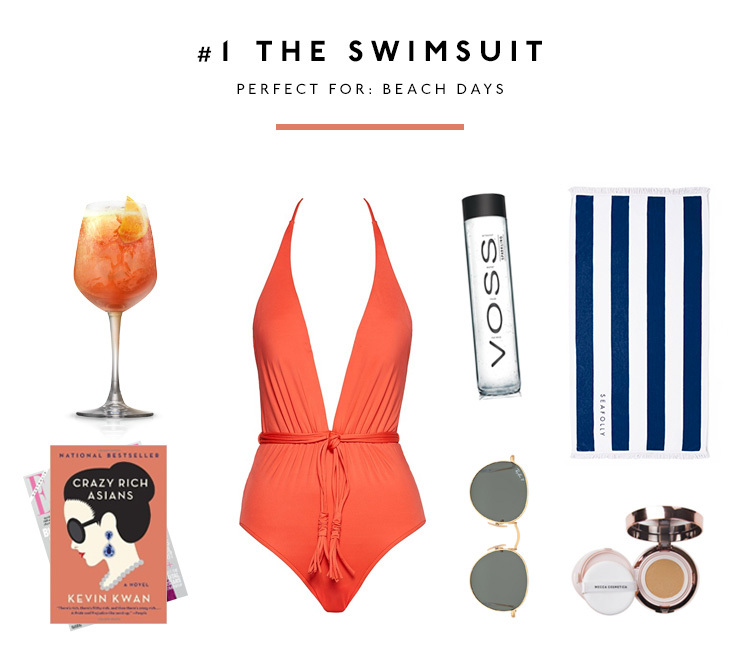 Plus, a simple basic swimsuit from Seafolly makes beach-bar so easy because it can pass as a stylish top #winning. Obviously, shades are a must too, so slip on these ones from Ray Ban. Summer means holidays, which also means you’ll be attempting to rock that ‘model off duty’ look. Here’s how we’re nailing it this summer: start with a pair of classic jeans (these are from General Pants), a basic flowy top (like this one from Seed) and finish it all off with a neutral sandal (these bad boys are by Tony Bianco). Nail that ‘no make up look’ look with a tinted moisturiser and a swipe of colour on the lips. And just like that, you’re ready to unwind. Summer = summer flings. Fact. 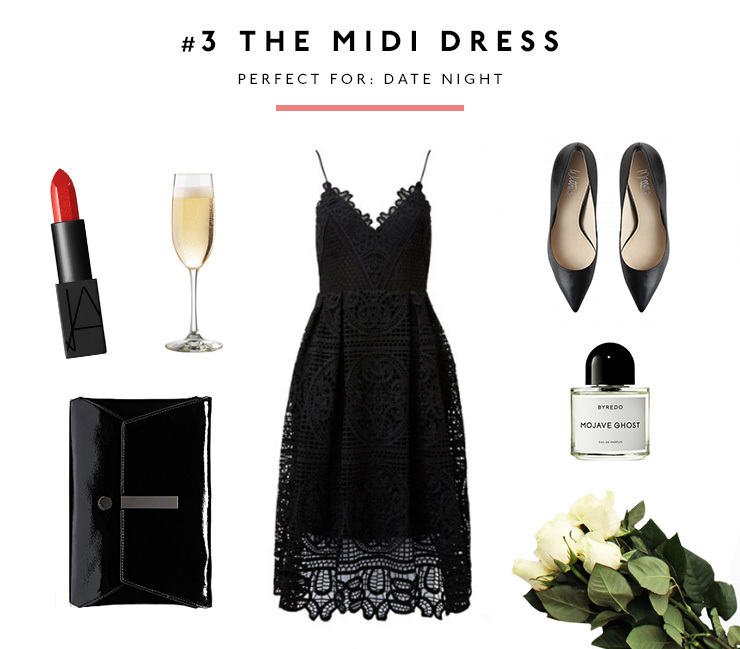 So now is the perfect time to get your date dressing game sorted, and pronto. A breezy, quick outfit for a date is essential because, remember people, comfort is key. We’re crushing over this Seed dress paired with these classic heels from Wittner, to show off your tan. Plus, add a pop of colour on the lips with this Nars lipstick. A clutch is a must, too, like this one from Mimco which is the perfect size to fit this By Redo perfume. Guys, you can still look cool at the office, even when you’re sweating up a storm. Trust us. Start with a statement skirt like this number from Sass and Bide, add a breezy shirt (this one’s from Witchery) and finish it off with a pair of structured heels. Be prepared for your meetings and look the part with a notebook from Kikki K. Who said corporate can't be cool? You can shop these looks at your local Westfield shopping centre this Fashion Weekend on the 17th – 18th of September. For more information on the deals on offer, check out their website. This article is sponsored by Westfield and endorsed by The Urban List. For more information on our editorial policy please click here.